Members of the senior dance group of the Kytherian Association of Australia, dancing at the September Dance, Sydney, 2004. 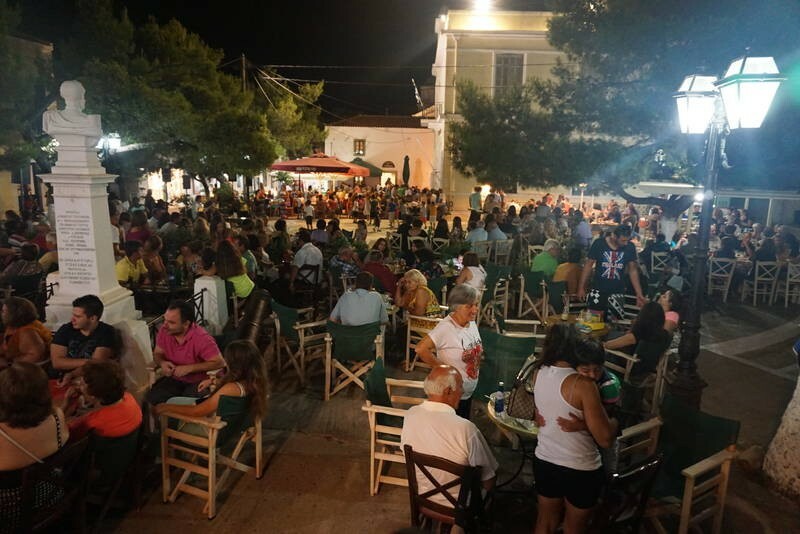 Given the central role that Music, Dancing and Kefi play in the Greek psyche - and in particular the Greek Island psyche, one would have expected that by October 2004, 1000's of entries depicting diaspora Greeks, participating in all three activities would have been posted to kythera-family. In fact, by the end of October, 2004, only a single photograph of dancing, and that on the island of Kythera, had been posted by Rowen Parkes. And only one mention of the notion of kefi had been made. Speaking about the wedding reception of Andy and Evangelia Aroney in 1939, Professor Manuel Aroney recalls - "A reception with more than three hundred guests was held in the hall above Peter Zaglas’ cafe in Victoria Street; it was an evening of celebration with great “kefi” (gaiety), large quantities of food and drink and hours of Greek music and dancing." And yet the word kefi is the most used word of all at any Greek function. What is kefi to you? How would you define it? In Sydney, Greek dancing classes have been sponsored by the Aroney Trust, and managed under the auspices of the Kytherian Association of Australia for more than a decade. The dancing expertise of participants is exceptional and sophisticated. Most observers agree that the existence of these classes have helped to integrate and perpetuate the Kytherian heritage and ethos in Australia. I would encourage all who participated in, or know the history of the KAA Dancing Classes, and who have photographs of the dancers participating in cultural events - to post them to the web. In the homogenized European Union of the 1990's, the Spaniards and the Greeks are among the very few peoples who still dance to their own music with any kind of spontaneity, and it's no coincidence that both have untranslatable words to describe the spirit or mood that separates foing through the motions, and true dancing. In Spain, the word is duende, which, with the hard-driving rhythms of flamenco, has an ecstatic quality; in Greek the word is kefi, which comes closer to soul. For a Greek to give his all, he must have kefi; to dance without itcould be considered dishonest. The smart young men in black trousers and red sashes who dance for you at a 'Greek Night' taverna...(might not) have it; two craggy old fishermen, in a smoky kafenion in Crete whi crank up an old gramaphone and dance for their own pleasure, do. 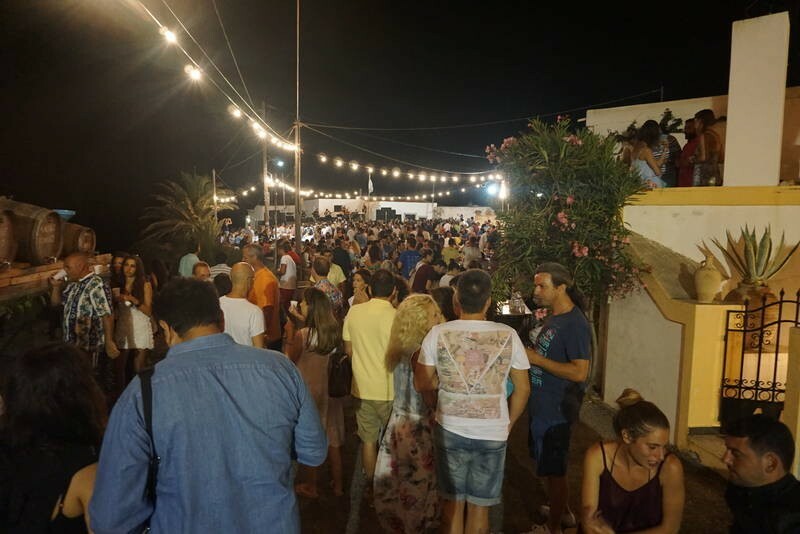 It has no age limit: teenagers at discos pounding out all the international hits of the moment are really only waiting for 1 or 2am, when the clubs switch over to Greek music, and the real dancing and kefi can start. You can feel the kefi at Easter, when an entire village joins hands to dance an elegant kalamatiano, an act as simple and natural as it is moving, an enhanced celebration of community that the rest of us are lucky to ever experience. 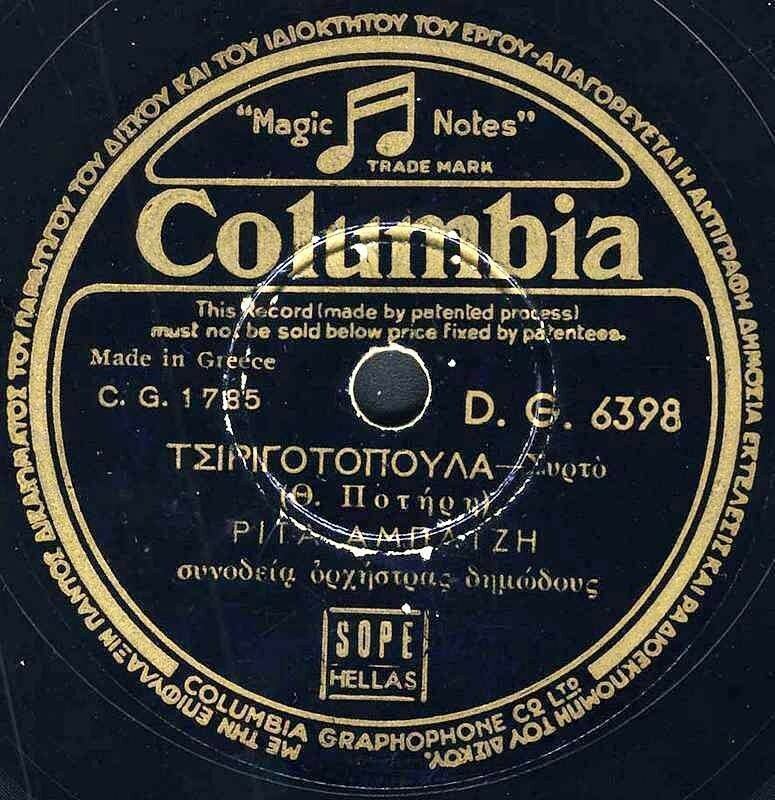 Contemporary composers like Mikis Theodorakis often put modern poetry to music, providing splendid renderings of the lyrics of George Seferis, Odysseas Elytis and Yannis Ritsos; sung by the deep-voiced Maria Farandouri, they are spine-tingling, even if you don't understand a word. Even current Greek pop has surprisingly poetic moments. 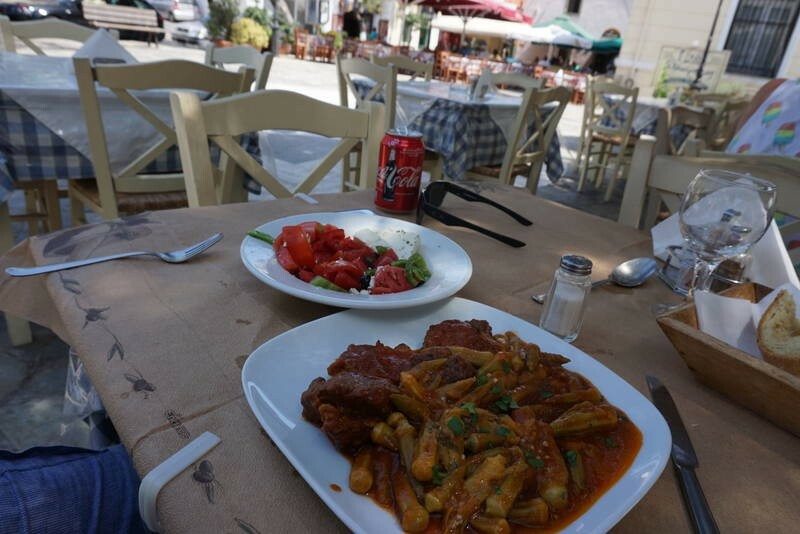 It owes much of its origins to rembetika, the Greek equivalent of the blues, brought over and developed by the more 'sophisticated' Asia Minor Greeks in the 1920's population exchange, who in their longing and homesickness haunted the hashish dens of Athens and Piraeus. rembetika introduced the bouzouki, the long-necked metallic string instrument that dominates Greek music today, to the extent that nighclubs are called bouzoukia - rougher ones are known as skilakia - 'dog shops', where popular singers croon throbbing, lovelorn, often wildly melodramatic music with a Middle Eastern syncopation that offers Greeks some of the cartharsis that ancient tragedies gave their ancestors. Summer festivals and village weddings are the places to see traditional dancing. Every island has its owwn dances or slight variations, some preserved, some quickly forgotten. Beginning Greek dancers would do better starting with a syrto, with a slow and somewhat shuffling pace throughout, or perhaps the kalamatiano, a 12-step syrto, the national dance for many people; everyone joins in, holding hands at shoulder-level, while men and women take turns leading and improvising steps. Nearly as common is the dignified tsamiko, where the leader is especially acrobatic, the handerkerchief seems to be the only thing that keeps him from flying away altogether. Women are the centre of attention of the tsiphte teli, a free spirited, sensuous belly dance from Asia Minor for the loose-limbed, swivel-hipped and well-oiled, but just as often men...steal the show. Other dances are normally, but not exclusively, performed by men. The zeybekiko is a serious, deliberate, highly charged solo, (or sometimes duo) dance with outstreched arms, evoking the swooping flight of the eagle; a companion will go down on one knee to encourage the dancer, hiss like a snake and clap out the rhythm. An introspective dance from the soul, the performer will always keep his eyes lowered, almost in a hypnotic state; because it's private, you must never applaud. Another intense dance, the hasapiko, or butchers' dance, is perhaps better known as the Zorba's dance in the West. The syrtaki is more exhuberant, traditionally performed by two or three men, often to a rembetika, tune; the leader signals the steps and it requires some practice but is well worth learning - as Alan Bates discovered, when he finally began to fathom kefi from Anthony Quinn, at the end of the film Zorba the Greek. Kevin Cork, with son Stuart, at Stuart's Bachelor of Arts degree graduation. Kevin Cork, with son Stuart, on 11th April 1997, at Stuart's Bachelor of Arts degree graduation. Stuart went to obtain a Law degree after Kevin's demise in 1998. He now practices as a solicitor with MatthewsFolbigg in Parramatta. During the 1990's KEVIN CORK undertook extensive research into cinema's in Australia. Tragically, he died before completing his work, but most of the chapters of his Ph.D Thesis, were completed. His wife and children have kindly given permission for his work to be reproduced. 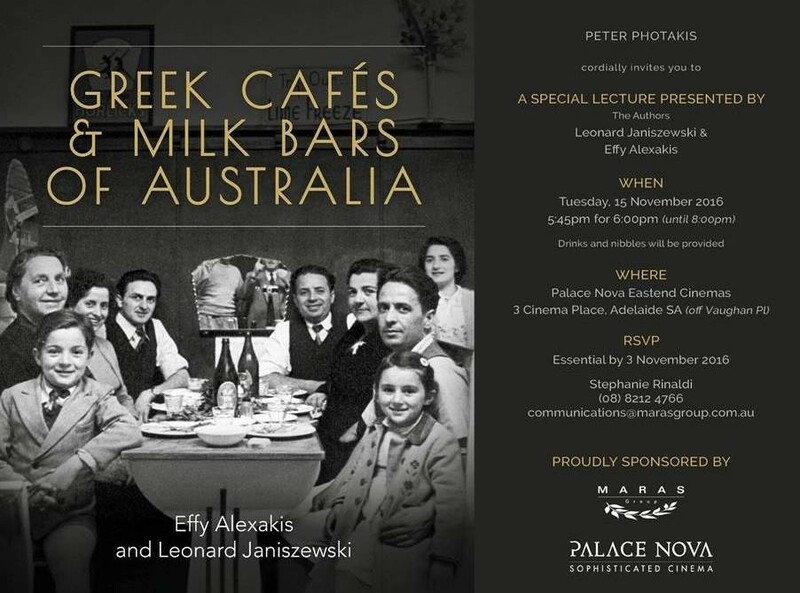 Most Australian's would be unaware of the degree to which Greeks, and particularly Kytherian Greeks dominated cinema ownership in Australia - especially in New South Wales. Kevin's Ph.D thesis focused on the lives of 66 Greek, and Greek-Kytherian cinema owners in NSW. He managed to follow most until their demise, or return to Greece. Kevin's work demonstrated the importance of the Hellenic and Kytherian contribution to Australian cinema ownership and history. It is difficult to know how to pass on to Kytherians the results of Kevin Cork's important research's. In the end, I felt that the results should be passed on in the most extensive way - i.e. in full re-publication of Chapter's. Eventually all Chapters will appear on the kythera-family web-site. Entries for Chapters and Appendices of the Ph.D thesis can be sourced by searching under Cork on the internal search engine. See also Kevin Cork, under People, subsection, High Achievers. This magnificent photo was taken on Sept 29th 1946 at the Hotel Empire in New York City on the occasion of a celebration dinner for kytherians living in New York. 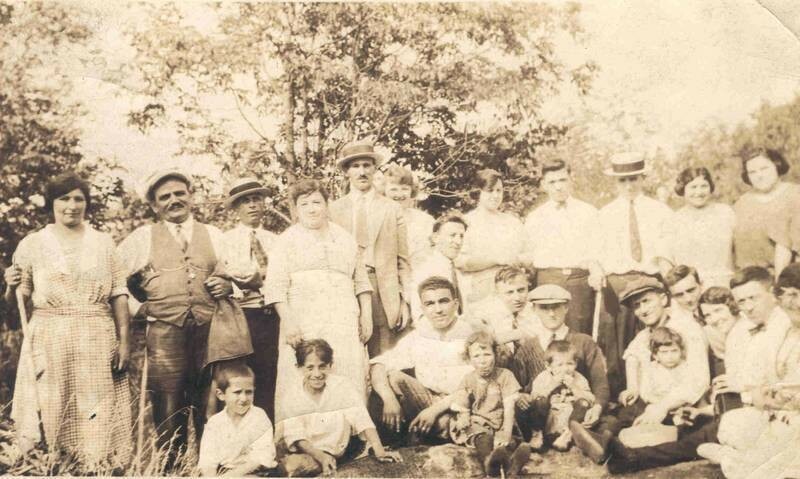 My Grandfather George Caravousanos is the bald gentleman on the right hand side at the front. (Many may recognise relatives in this picture)Picture Copyright 2004 Tony Caravousanos, Dublin, Ireland. 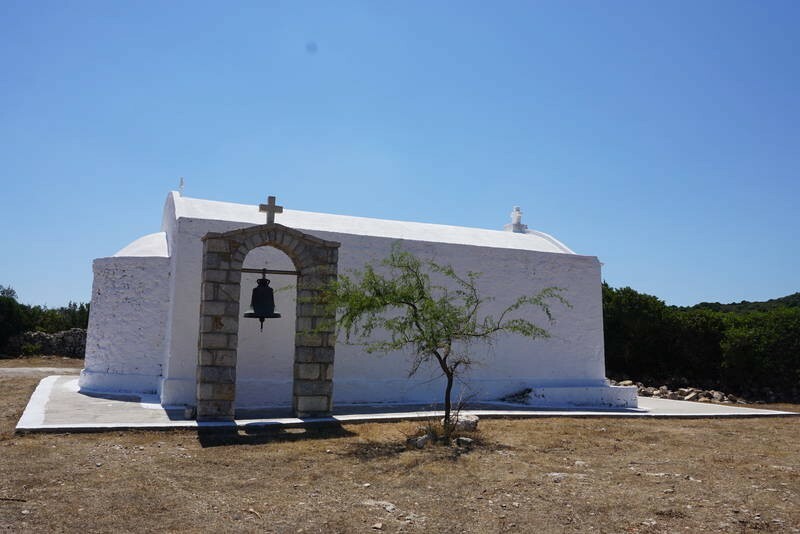 On a small remote mountain in the Central Coast of NSW there is a small Church Agios Dionisios. In that church, there is an icon of Agia Elesa. This year, a liturgy,artoclasia and later a litany of the Icon took place within the grounds of this maginificent position.It is not very often you can hear the bells ringing in any of the Churches in the cities. 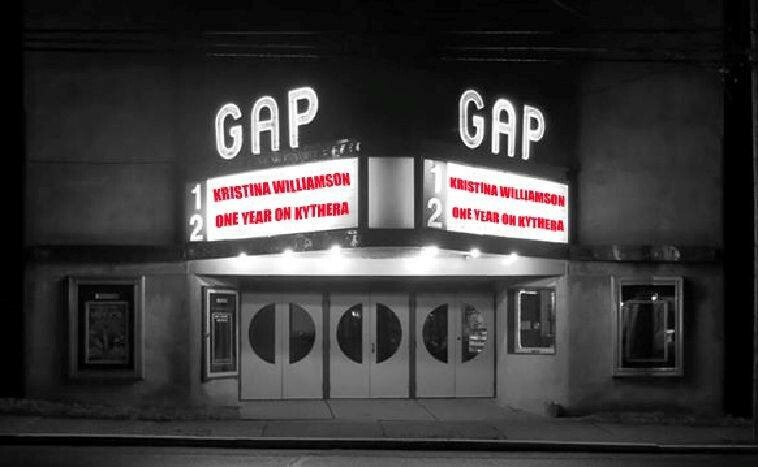 Those Kytherians present had a day to remember. 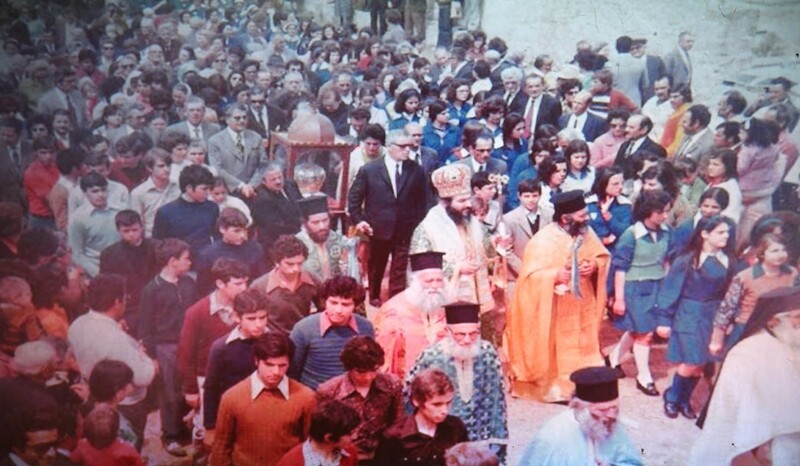 Carrying the Icon, Mannuel Cassimatis and Spyro Calocerinos. In one of history's great migrations, more than six million people have crossed the world to settle in Australia. To honour their achievements a Welcome Wall 100 metres long is being built next to the National Maritime Museum at Darling Harbour (Sydney). It's close by the Pyrmont docks where millions of new settlers first stepped ashore in Australia. As a truly national project The Welcome Wall honours migrants wherever they landed and wherever they live. 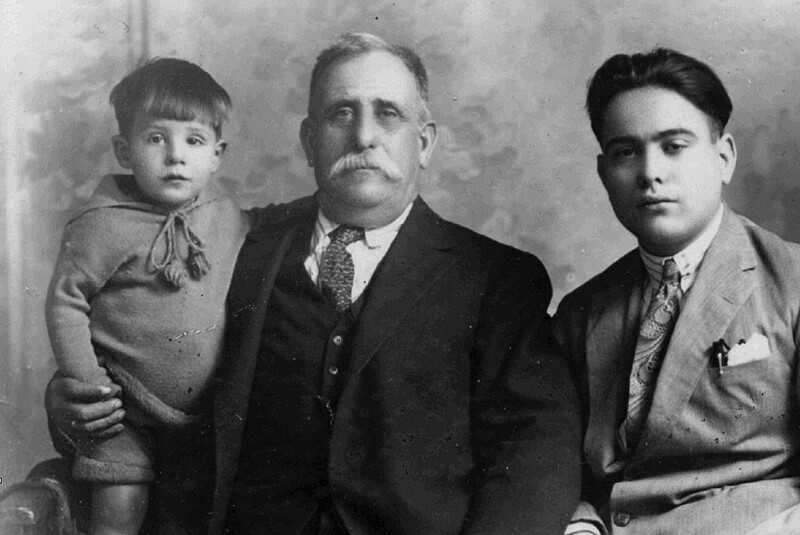 This database stores historical information about the people named on the Welcome Wall— when and how they came, who they came with and where they lived. These stories are also accessible on a computer terminal in the Museum foyer. It costs just $105 (including GST) to commemorate your family name in bronze, and record their story on our database." [The names of both my parents, Con George Poulos, and Envangalia (Angela) Coroneos, have been added to the Welcome Wall. I thoroughly recommend that all Kytherians place their parents/grandparents etc names onto the Welcome Wall. - look in the left-hand-side field for the word REGISTRATION. Then click. 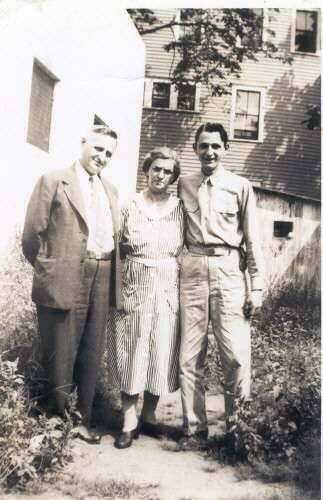 Dave Sophios's [Peter's father] entry is about shoulder height. - look in the left-hand-side field for the word REGISTRATION. Then click..
Do any Kytherians have photographs of "Kytherians carrying the Olympic torch in the Torch Relay, Sydney, June 2004"? It was a day when Sydneysiders stopped and got reacquainted, and welcomed home what felt like an old flame from an affair we thought had ended at the Olympic closing ceremony in 2000. On a day-long walk, run, jog, cycle, row nd roller-blade down memory lane, the launch of the 2004 torch relay - at 400 metres a leg - also offered reminders of "rolling road closures", "mother flame" and the creeping commercialism of the Games. The day began at the Opera House, with the torch in the hand of Cathy Freeman, as it had been four years ago. Atop the Opera House steps, she raised it proudly against a stark blue winter sky, providing the perfect backdrop for the flickering rekindled orange flame. The Premier, Bob Carr, not known as a disciple of big events, had recognised moments before that the torch relay was more than just another signal for a Sydney party. He reflected on the different world of four years ago, before massive security measures were needed for host cities. It was "a world of less contention". Yet the torch remained a symbol of peace, with Mr Carr pointing to the "flame to which we all still aspire". Four years on, the world saw a more commercial Cathy Freeman, having struck a promotional deal with Samsung, along with Coca-Cola, the principal sponsor of the event. The first of 3600 torchbearers in 33 cities and 26 countries appeared distracted as she ran. This may have been due to an attempt by the Seven Network to interview her through an earpiece during her most public post-retirement 400 metre run. And if the crowds were sparse in some sections of the rambling route, organisers would have been delighted with the attendance of Greek-Australians, who poured into Brighton-le-Sands by mid-morning. Botany Bay could almost have been the Aegean except, perhaps, for the presence of two bobbing NSW Water Police craft. "We brought a part of Greece to Australia today and I was proud be one of those who did it," said Rita Comino, a torchbearer who ran along Bay Street at Brighton-le-Sands. "My parents are both from Kythera in Greece, the seventh state of Australia in case you didn't know." swimmer Kieren Perkins and skier Zali Steggall on the bridge, the International Olympic Committee might reconsider its edict that this will be the first and last global torch relay, because of it organisational distractions. In one of the more touching moments of the day, Con Verevis, the first torchbearer for the 1956 Melbourne Olympics relay, completed his third run with the flame, a rare accomplishment. Mr Verevis, 70, who carried the torch in North Queensland 44 years ago, where he lives, said he wanted to run part of his 400 metres. In 1956 torchbearers needed to be able to run a mile in seven minutes. 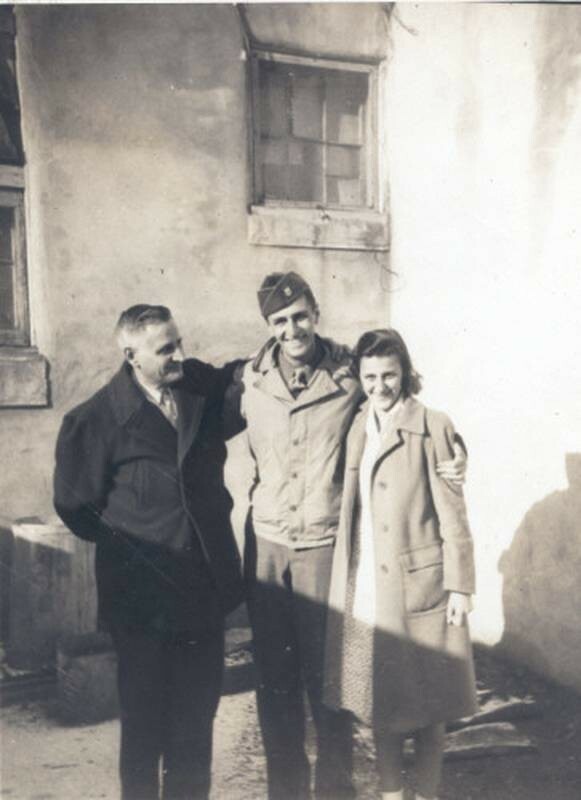 As a bonus, Mr Verevis was reunited at kerbside with a second cousin, Bella Cass, whom he had not seen for 50 years. uphill. I'm glad everything went well because though my brain was willing it hasn't told my heart and knees." Mr Verevis, whose father migrated to Australia from Greece nearly a century ago, ran past a house which onlookers dubbed the "Greek embassy". Angelo and Sonya Giourtalis explained that the house had been designed to resemble the Parthenon, complete with columns and new Greek and Australian flags in the front yard. roof into place. Along the route, some non-global corporations couldn't resist the opportunity for some free exposure. "Our chicken burns eternally," read one sign outside a flame-grill takeaway shop. By nightfall, the torch had made it to Sydney Olympic Park, carried by a dragon boat crew to avoid gridlock on land. It was then roller-bladed down Olympic Boulevard by the Winter Olympics gold medallist Steven Bradbury and the relocated 2000 cauldron was lit by Steve Waugh, who said: "I wish I was an Olympian." Some more party goers at the Panaretto/Simos farewell gig at the (probably) Lismore Rowing Club ~1949. 3. Helen Manoli Cassis (nee Damati). 7. John Nick Terakes of Lismore. 9. Theo George Poulos of Lismore. 11. Leo Manias of Lismore. 12. Mrs Sylvia John Terakes of Lismore. 13. James Nick Crethar of Casino. 15. Nick Mark Terakes of Lismore. 16. Jack Vic Panaretos of Lismore. 17. Charlie Anthony Sourry of Lismore. 18. Nick George (?) Samios of Kyogle. 19. Phillip Peter Feros of Lismore. 23. John Peter (?) Samios of Kyogle. 25. Frosso Peter Poulos (nee Crethar) of Ballina. 26. Stan Gleeson of Kyogle. 27. 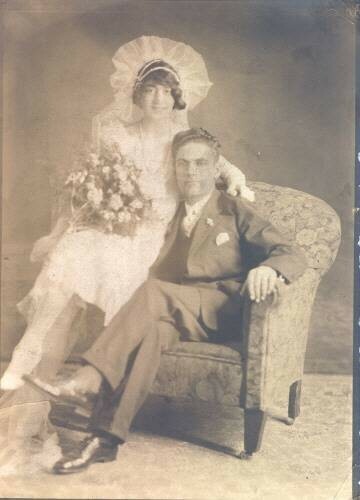 Mrs Botta George Poulos of Ballina. 28. Mrs Anna Macris of Lismore. 31. Baby Angelo Nick Crones. 32. Nick Angelo Crones of Lismore. 33. Peter John Coroneo of Ballina. 34. Kalypso Peter Christianos (nee Panaretto) of Lismore. 35. Victor Nick Crethar of Casino. 37. Crissa Peter Conomos (nee Samios) of Kyogle. 38. Leo John Coroneo of Ballina. 39. Katina Nick Terakes (nee Sargent/Stratigakis). 40. Matina Spyro Coronakes (nee Crethar, dau of Peter Nick and Anna). 41. Maria Charlie Sourry (nee Terakes) of Lismore. 42. George Christos Simos of Casino. 43. Katina Stan Gleeson (nee Coroneos) of Kyogle. 44. 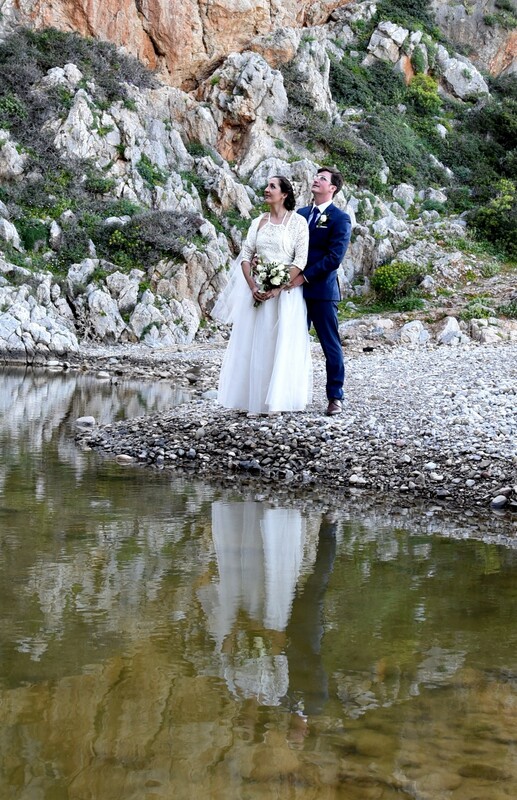 Panayiota Eric Crethar (nee Georgiou). 45. Eric Victor Crethar of Lismore. 48. Helen Peter Feros (nee Prineas). 49. Peter George Feros of Lismore. 51. Anna Peter Crethar (nee Coroneos) of Lismore. 53. Probably Helen Harry Fardouly of Inverell. 55. John Peter Crethar of Lismore. 56. Louie Nick Crethar of Casino. 59. Sofia Jack Bavea of Lismore. 62. Helen Nick Crethar of Casino. Jim Poulos, QC, selected as a torchbearer for the Athens Olympics Torch Relay on June 4, 2004. The Olympic Torch Relay is set to roll through sections of the Eastern Suburbs [of Sydney] on Friday, June 4. Greek business and community leaders as well as former Olympians will be torchbearers when one of the most important symbols of the Athens Olympics touches down in Sydney. "Pass the Flame - Unite the World" is the message behind the 2004 torch relay as it makes its way through 26 countries and 33 major cities. Woolhara's mayor, Geoff Rundle. said he hoped residents, school communities and business workers would yurn out in the streets to support the relay. "It's a wonderful way to show our patriotism and support for the athletes representing our country at the Athens Olympics," he said. The torch will leave Sydney Opera House at 8 am and arrive at Rushcutters Bay about about 8.45 am. It will then be carried along New South Head Road, before travelling along O'Sullivan Road, Rose Bay, on the way to Bondi Beach. FRom there it is expected to be carried out to the Sydney Olympic Stadium. Torchbearers include Olympic swimming great John Konrads, of Paddington, Mark Kerry, of Darling Point (who swam in three Olympics: Montreal, Moscow and Los Angeles), and yaughtsman Tom King, of Darling Point, who competed in Atlanta and Sydney. Members of the Greek community have also been given the honour of carrying the torch. One is barrister Jim Poulos, QC, who has a lengthy commitment to North Bondi Surf Life SAving Club. Mr Poulos said he was enormously proud to have been selected as a torchbearer. "If I can get away from my work commitments, Ï'll definitely be over in Athens to watch the Games," he said. "I've seen some of the new facilities already and they are magnificent. The subway is the best ever, and the new airport is brilliant." Other torchbearers include Nick Politis, Micheal Diamond, Steve Waugh, Peter Montgomery and actor Saxon Graham. After the torch has passed through Woollhara, the mayor will plant an olive tree to commemorate the event. The tree has been donated by the Sydney Hellenic Community and is a symbol of the 2004 Games and the international symbol for peace. It will be planted outside "Redleaf" council chambers. Mayor Rundle appealed to the community for co-operation because of the road closures and clearways that will be in place from 6 am to midday. "Traffic will be affected on New South Head Road between Kings Cross Road and O'Sullivan Road, with a rolling road closure controlled by NSW Police", he said. The Olympic flame was lit by the sun's rays in a traditional ceremony in Olympia, Greece, and is kept in a lantern that travels with the relay. More than 3600 torchbearers will pass the Olympic flame during the international event of 1500 kilometres. The Athens Olympic Games will be run from August 13 to 29. Thanks to reporter Kim O'Çonnor, and editor Andrew London, the Wentworth Courier [Newspaper], Sydney; for permission to re-print this article. L to R: Zachary (Jack) Ioannis Black, Jim Nick Crethar, Paul Victor Panaretto (El Gronda café), Anastasios (Ernie) Stavros Zantiotis (Rose Marie Café), George Christos Simos (El Gronda café), Nick Kyriacos Baveas (Black and White café), Greg Jacob Londy (Londy’s Fish café), George Stavros Zantiotis (Busy Bee café), George Ioannis Black, Nick James Crethar (Crethar’s café), Harry Peter Chambiras (Marble Bar café), Peter Harry Chambiras. Greek Picnic - Brisbane, circa 1916. Greek Picnic in Brisbane, circa 1916. The individuals have not been identified. Can anyone help fill in the history of these Greeks, amongst whom there will inevitably be a significant number of Kytherians? 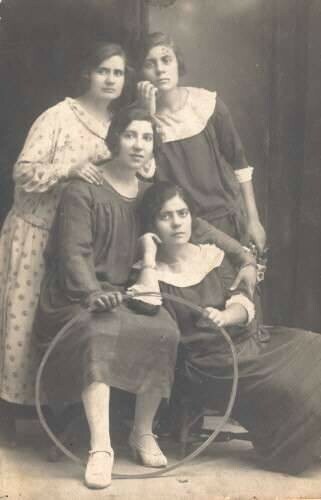 The Greek Young Matrons Association was formed by a small group of young Greek Matrons in 1951. 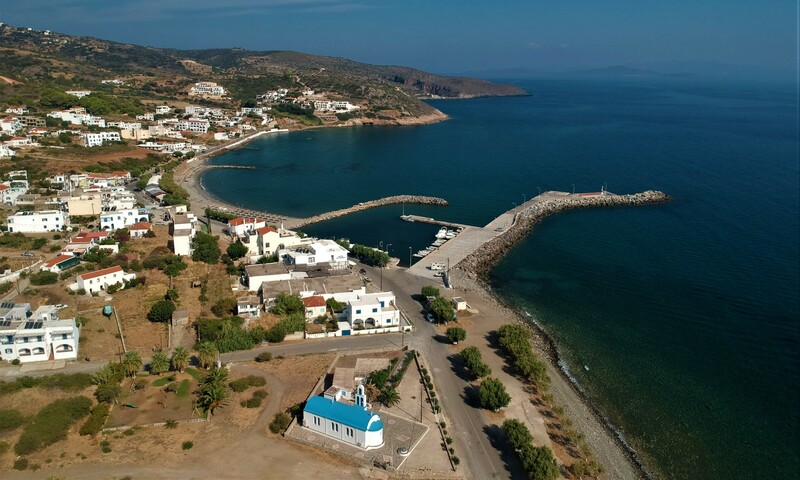 The history of this very successful, vibrant, and effective Association - of which many Kytherian women have been members need to be told on kythera-island.net. Can Kytherians assist in elaborating this history? Members of The Olympic Club, 1952. 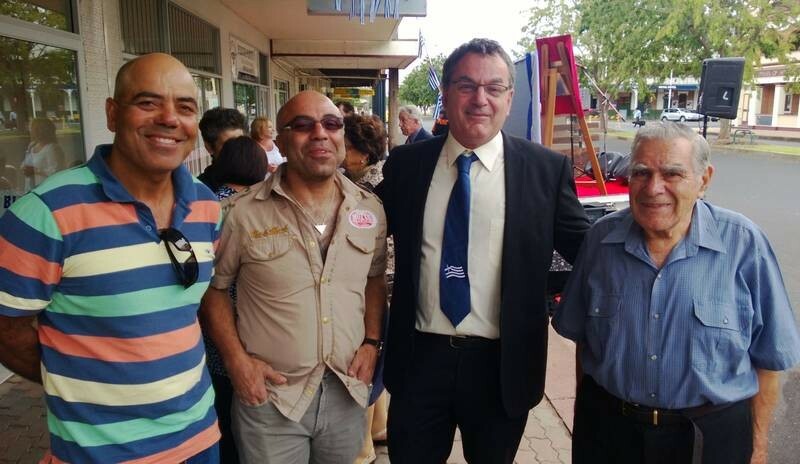 Back Row: (L to R) Minas Caponas, Steve Zantiotis, [To be advised], Basil Kanakis, Basil Eckard. The club organised many sporting and cultural activities, including soccer, table tennis, cricket, theatre and concerts. See entries in Sporting Life, and Documents, for more background history. Many members met future life partners through the Olympic Club. 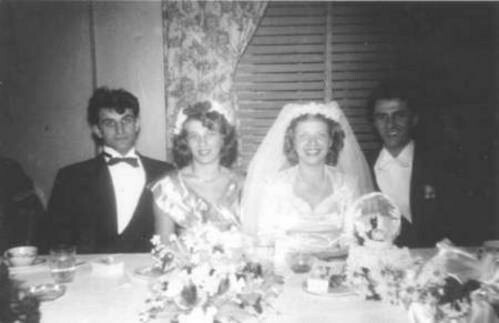 The club was instrumental in forging the relationship between my cousin George Katsoolis, and future wife Helen. 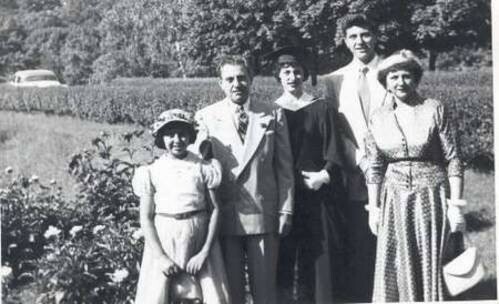 (see, History - Oral History - "Katsoolis, Peter & Chrisanthi & son, George - 1978...."). Can other Kytherians elaborate upon their involvement with the Club? 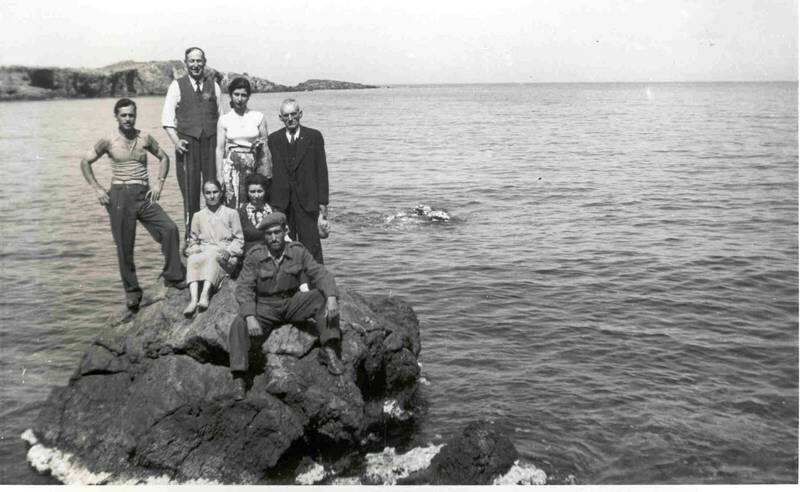 Thanks to Maria Hill, for allowing us to reproduce Kytherian photographs at kythera-island. Dr. Steve Georgakis is a second-generation Australian, born in the Sydney suburb of Balmain, the son of immigrants from Epiros in Greece. Educated at Fort Street High School and the University of Sydney, he followed a First-Class Honours degree in Education (Human Movement and Health) with a PhD in Education. In earlier years Dr. Steve Georgakis played professional soccer with Sydney Olympic SC and the Marconi SC. Between 1986 and 1992, he represented Australia in successively the Under 16, the Under 20, and the Olyroo national teams. For two years he was an associate lecturer and in 1999 he was awarded a post-doctoral scholarship, in the Faculty of Education at the University of Sydney. Through Nick Fisher’s connections in Sydney, Melbourne Olympic Club (MOC) members travelled to Sydney to play against Greek youth in Sydney who, up until then, had not formed a sporting club but who met on the weekends at Queens Park, Bondi Junction, playing rugby league and cricket. During the Christmas period of 1945, 15 members of MOC competed against Greek youth of Sydney in cricket, athletics and table tennis. 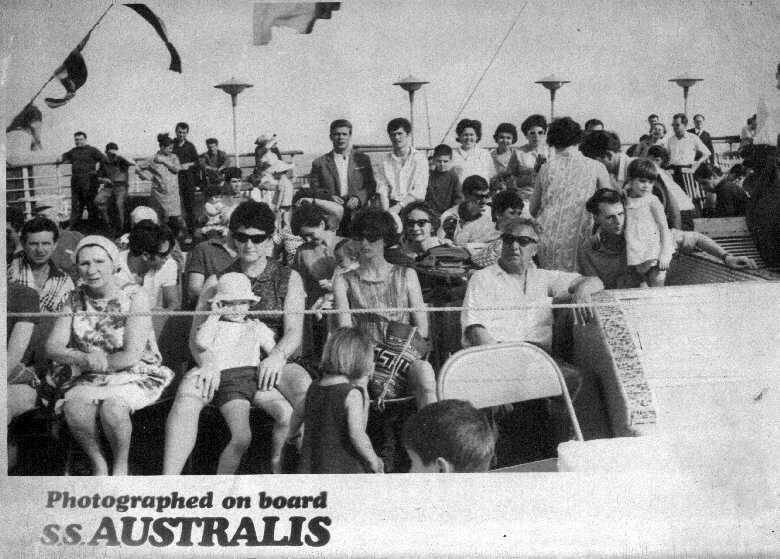 After travelling by train to Sydney, MOC were picked up by their billets, as organised by Cypriot Aristedes. Kastellorizans Con Mangos and Con Kanis were billeted out with Kastellorizan relatives. GOCS hired the services of sporting coach Roy Ascot to guide the sporting proceedings. Ascot, a non Greek, eventually became full-time salaried coach for SOC. On 26 December 1945, MOC practised at Rushcutters Bay Park for the cricket match which took place the following day. This occasion marked the first interstate official cricket match between Greek youth clubs in Australia. MOC easily defeated the Sydney select team, before a round of social activities including a visit to church and a farewell function at Archbishop Timotheos’ house prior to their departure. 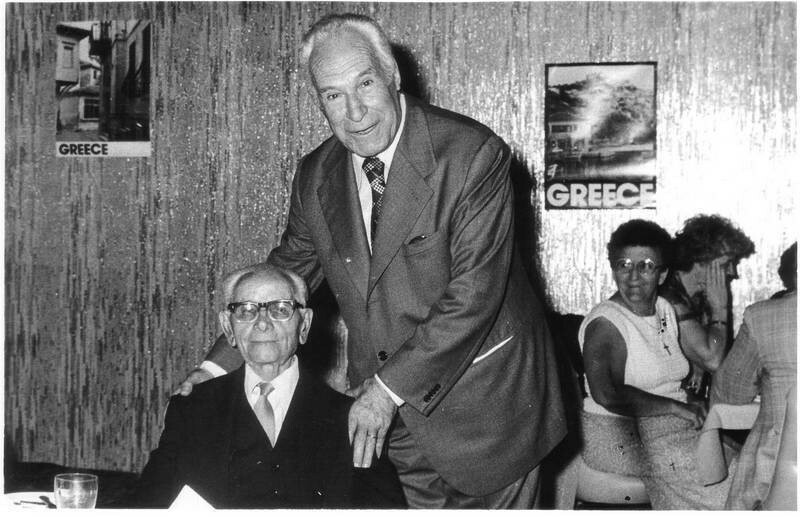 Given the example and success of MOC, Greek Orthodox Community Sports, (GOCS) was now motivated to form their own properly organised Greek youth club.64 In February, 1946, a steering committee was set up, consisting of senior members of the GOCS, including Andrew Aristedes and Jack Angelides. After the hiring of coach Ray Ascot, a general meeting at Agia Triada Church was called for 27 February 1946 to elect a committee and ratify a constitution. 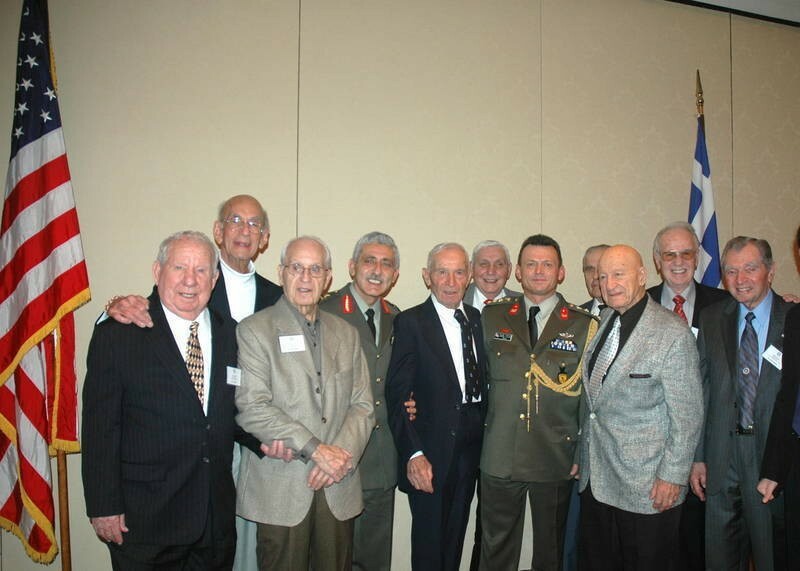 Second generation Kytherans, Con Mottee, Nick Marcells, Bill Psaltis and Ithakan Leo Raptis who was president for the first three years were the main proponents of the new club. Raptis, although only 22 years old was already on the GOCS committee. By early 1946, SOC were playing cricket at Rushcutters Bay against each other. Their first trial game took place when they beat North Katoomba by 180 runs. The game was organised through the efforts of the GOCS and Peter Tzortzopoulos, co-owner of the Niagra and Savoy cafes in Katoomba and a prominent member of the Katoomba golf club. Apart from gaining wide publicity from the local Katoomba newspaper Advertiser the whole management of the GOCS were present including president of the committee, Arthur George. Later that day at the Greek owned Niagra Cafe, the GOCS committee presented the players with white shirts embroidered with the emblem of the SOC. It read “Sydney Olympic Athletic Club” (founded 1946 by the Greek Orthodox Community NSW). In the 1946-47 cricket season, the SOC entered a cricket team into competition, registering their first win in the Metropolitan Churches Centennial Park Cricket Competition defeating Prescott outright. In 1946, the club organised a dance at the Paddington Town Hall, to raise money for the team going to Melbourne to play the MOC in the Christmas break. This first Melbourne interstate visit involved contests in cricket, track and field and tennis. The team left Sydney on 23 December 1946 and returned 3 January 1947. A two day cricket match at Como Park saw the defeat of SOC team captained by George Stell, formerly of the Paddington Police Boys Club coached by Cohn McKould. Sporting exchanges between the two clubs increased, the most successful being during the Christmas season of 1949, when SOC defeated MOC, for the first time and won the Hellemc Shield, donated by the Hellenic Club NSW, as they had been victorious in three of the five events. SOC defeated MOC in cricket at Moore Park (Fisher Shield), table tennis at St. Sophia School Hall (Angelides Shield), and swimming at the Coogee Aquarium. MOC won both tennis at Waverly Park (A.T. George Shield), and athletics at Redfern Oval (Polites Shield). New Year’s Eve celebrations and Presentation Night were both held at Paddington Town Hall. Not until the 12 April 1952, did females of MOC and SOC compete at Moore Park in Sydney with the MOC team winning the netball match (22-10). From SOC’s inception until 1951, the club played predominantly Rugby League, cricket and netball, with their annual games usually taking place during the Australia Day Long Weekend period in January. The annual games also served as selection trials for the interstate visits, and were held at athletic tracks with spectators. 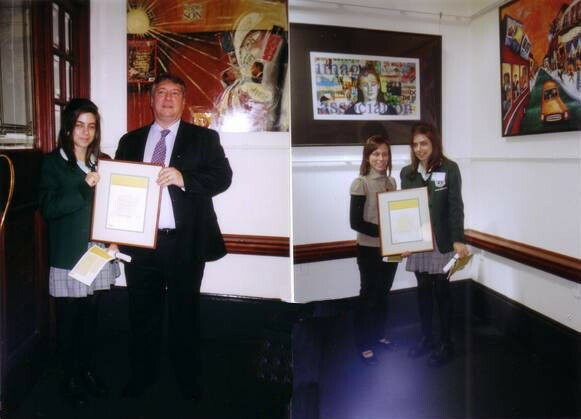 The Olympic Club represents Greek Youth of NSW, and its purpose is to keep together Greek Youth. 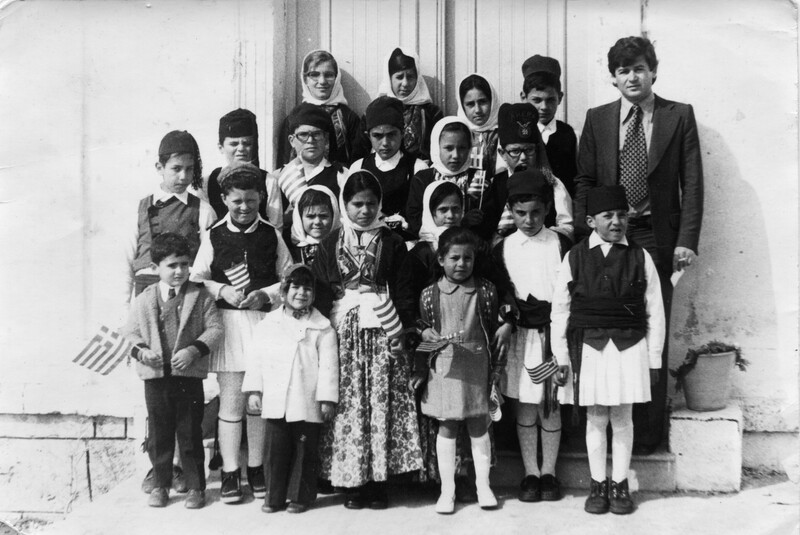 We ourselves have parents who came from Greece, our children will be less Greek in the environment we are in. They may, as already many have, lose entirely their Greek identity. 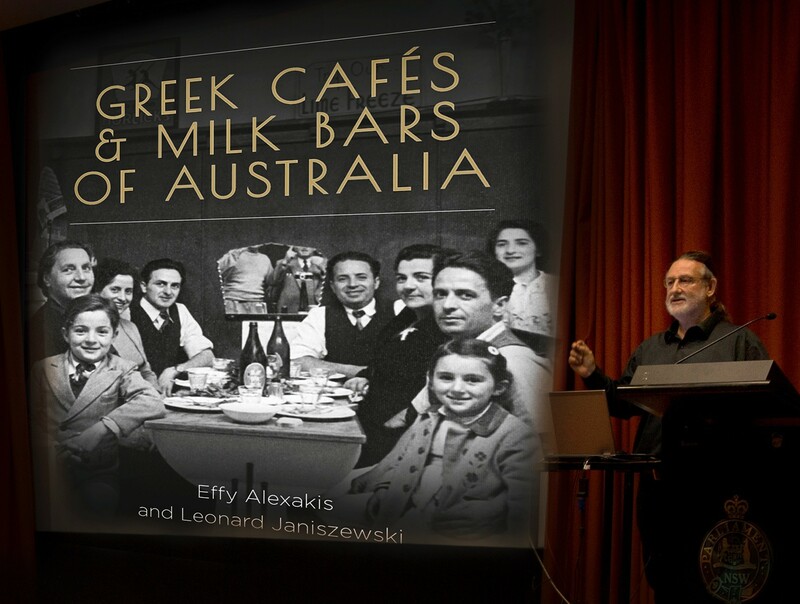 We believe that the Olympic Club must continue to keep together Australian-born Greeks. Apart from sporting articles, the magazine printed articles on literature and art. The regular 16 page issue was distributed by mail to subscribing club members. The club’s social events which invariably took the form of social dances were advertised. 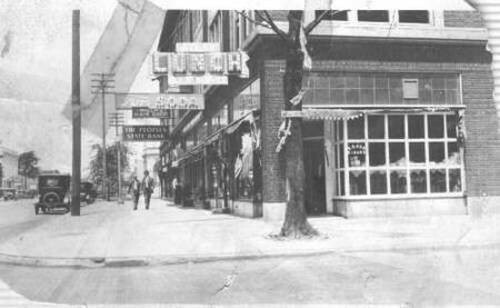 Monthly dances were usually held at the Coronet on George Street. The annual ball and the two presentation nights (one for the summer sports season and one for winter sports season) were held at the Paddington Town Hall. At the presentation nights, trophies were presented to the various teams and athletes by the Archbishop, speeches were made by senior members of the Greek society and there were very few females in attendance. A typical year of the activities of the club was 1949, with two teams in the cricket competition. Similarly to the situation with MOC, the SOC cricket teams were the most significant of their teams. After winning the Eastern division, the SOC team entered the final of the Churches’ Cricket Union C grade Competition where they played against the winners of 12 other divisions. The C grade junior cricket team won the state premiership, defeating 104 metropolitan teams, and talented players were Con Mottee and George Stell. The netball team defeated Maroubra in the NSW Premiers Association. The team was made up by J.Varvaressos, T.Stanley, M.Marcels, L.Coombes, N.Limbers, L.Varvaressos, K.Casimaty, I.Rafty and D.Katsoulis. Social events organised by female members included two reviews, a production of their original musical comedy Sproxenia, written by George Stell, a fancy dress ball and monthly dances. 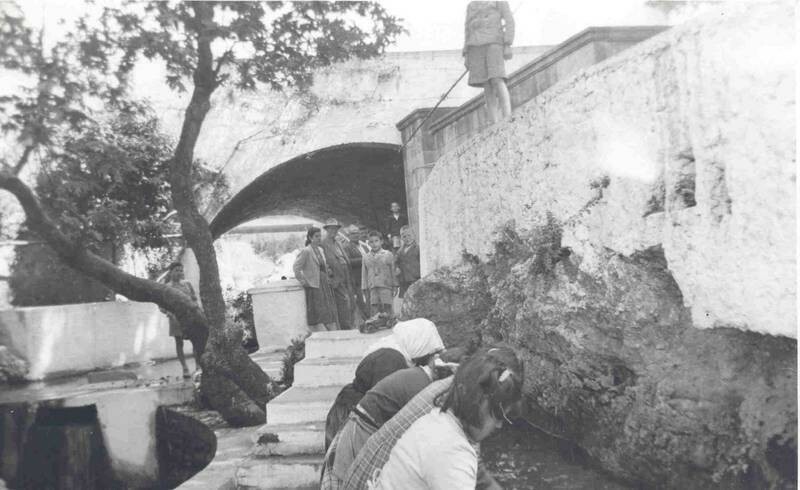 By 1951 the club celebrated its fifth birthday with an artoclassia (a religious celebration: blessing of the bread) at the Holy Trinity Church on 2 December, 1951, the ceremony performed by Archbishop Theophylactos. The first annual ball was held at the Roman Showboat on 4 December, 1951. Yet new immigrants were not attracted to club membership. An essay competition, “How to bring old and new Greeks together and the best way to do it” was organised and sponsored by the GOCS. 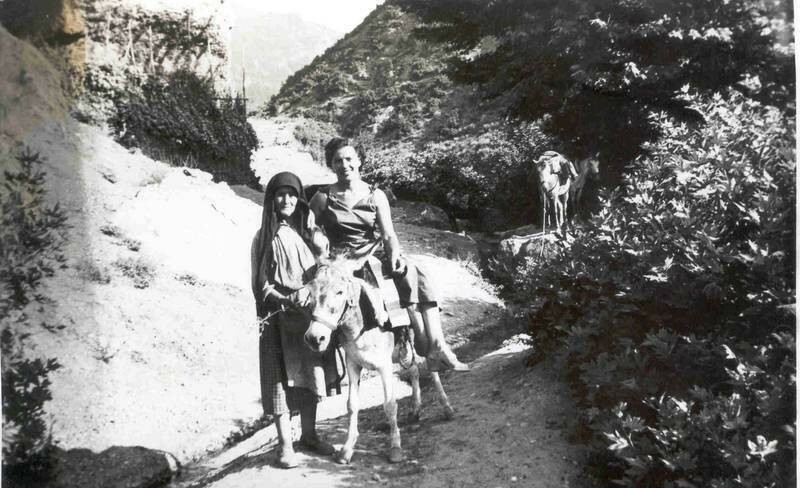 Prominent members of the community were the judges.69 Still the club was unable to attract post-War new arrivals and SOC remained interested in only the second generation (Australian born) Greeks. With news of MOC’s visit to Sydney in 1945, a meeting was called to select players for the Sydney team. Kastellorizan Johny Johns believed that coach Ray Ascot discriminated against and excluded Kastellorizan youth. 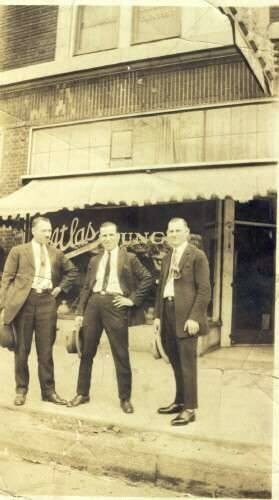 Johny Johns informed the Kastellorizan society of this and a meeting was called at Jack Charamis’s “PLEASU” city cafe attended by about 100 Kastellorizan youths and priest George Kateris. This meeting elected Angelo Karp, a WWII airforce veteran as a steering president. Subsequently Karp recommended that both youth clubs (KSC and SOC) amalgamate, but members of the club rejected the proposal, so he resigned. The first committee included Jack Charamis (president), Con Vallianos (vice president), John Economos (secretary) and George Alexiou (treasurer). Therefore the Kastellorizan Sports Club was formed in January, 1946 when the Kastellorizan Brotherhood raised 500 pounds to buy a club house and gymnasium for the newly formed KSC. Rugby league was the chosen game as many of the boys were familiar with the sport as they had played the game at state primary and high schools. For example Luke Lucas, Basil Anthony and Con Vallianos had attended Cleveland Street Junior High School. Most of the boys knew each other from Saint Sofia Church and the Greek school. For the first few months, the team trained twice weekly at Queens Park under coach Johnny Johns. He had been an avid Rugby League player and supporter in his youth. The first KSC team formed was a Rugby League team which played its first game on 29 April 1946 when it defeated the John Hunter Shoe Company, a work place team, at Arncliffe Riverside Park. George Netes, an employee of the shoe company had organised the game. In its first year, the team played against any team available, including once, a side of jockeys. Johnny Johns, a provedore at the fish markets, was successful in obtaining the coaching services of former Rugby League Kangaroo International player Joe Pearce.........(end, bottom, page 155). Nick Marcells, George Stell, Bill Psaltis, Leo Raptis, Con Mottee. 2. Ethnikon Vema, 20 February 1946, p.4. 3. 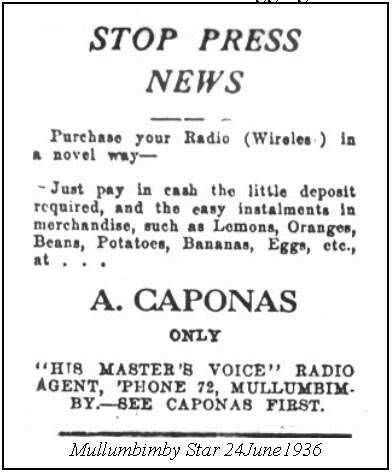 Hellenic Herald, 28 March 1946, p.4. 4. ibid., 17 October 1946, p.4. 5. Voice of Diskobolos, June 1947, Vol.1, No.1. 6. Hellenic Herald, 13 December 1951, p.3. Membership of the club for 1947, indicates that the preponderance were of Kytherian origin. 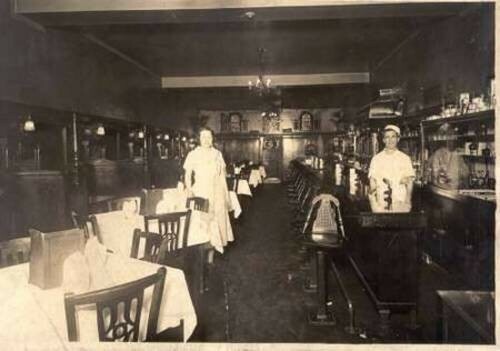 The staff of a Tenterfield cafe have a picinic circa 1937. Can anyone help fill in the history of these Kytherians? 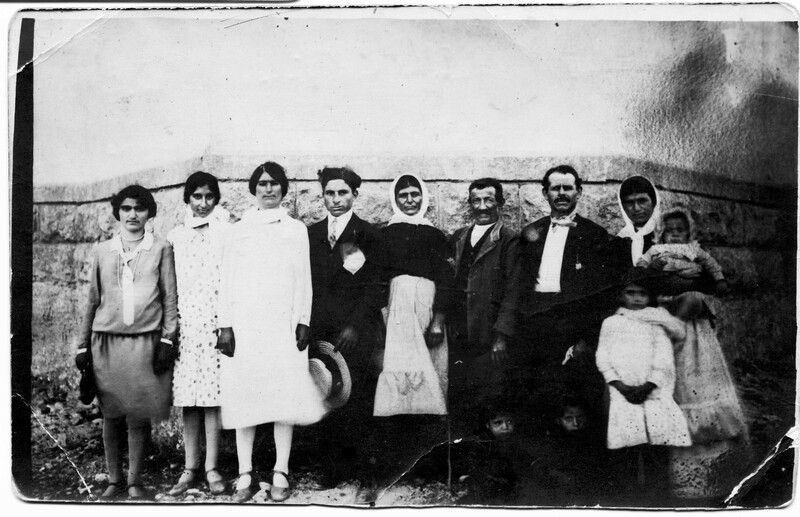 Kytherian Christening at Lockhart, NSW, circa 1933. Greek Staff Ball held on the 6th of April in 1940 at the Mark Foyes ballroom. Can anyone inform us of the history of this event? 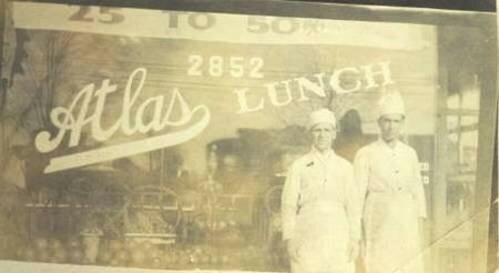 Deanna McCarthy(neePsaros- Monterey Cafe)on left and Angelique Papadopoulos(nee Mitchell/ Michaletos- Black and Green Bar)at Inverell Transport Museum April 2004.The display panel features a photo of Greeks at Inverell c1914. 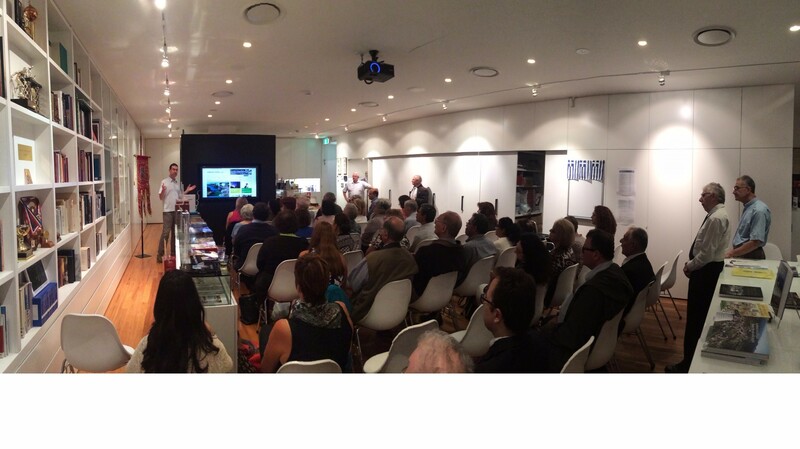 The display was provided by the Museums and Galleries Foundation of NSW. Names of those participating at this 1916 baptism are not provided. Can anyone help identify any of the participants? 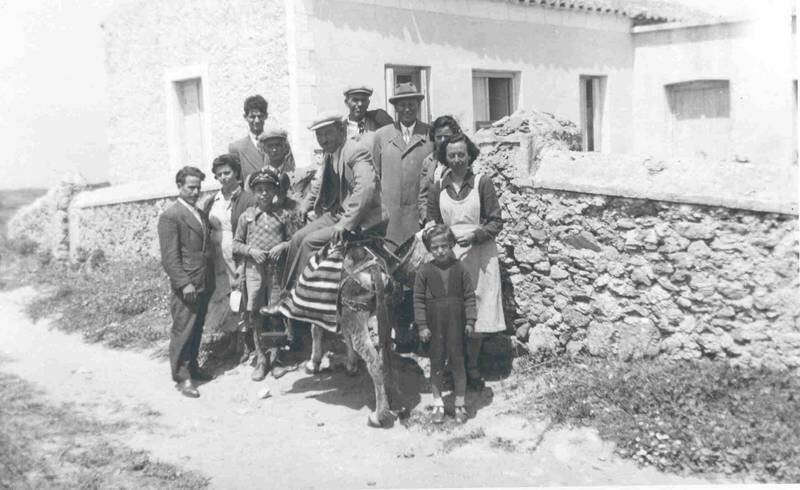 Thanks to Maria Hill, for allowing us to reproduce Kytherian photographs at kythera-family. 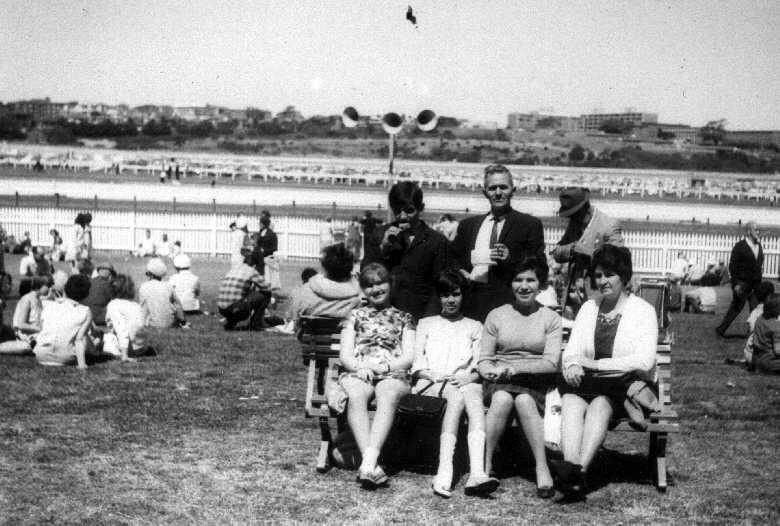 The Tatarakis family and other emigrants at an Australian racecourse.